Stephen Spotswood is the playwright of DOUBLEWIDE, one of the four plays being featured in Gulfshore Playhouse’s 2nd Annual New Works Festival. 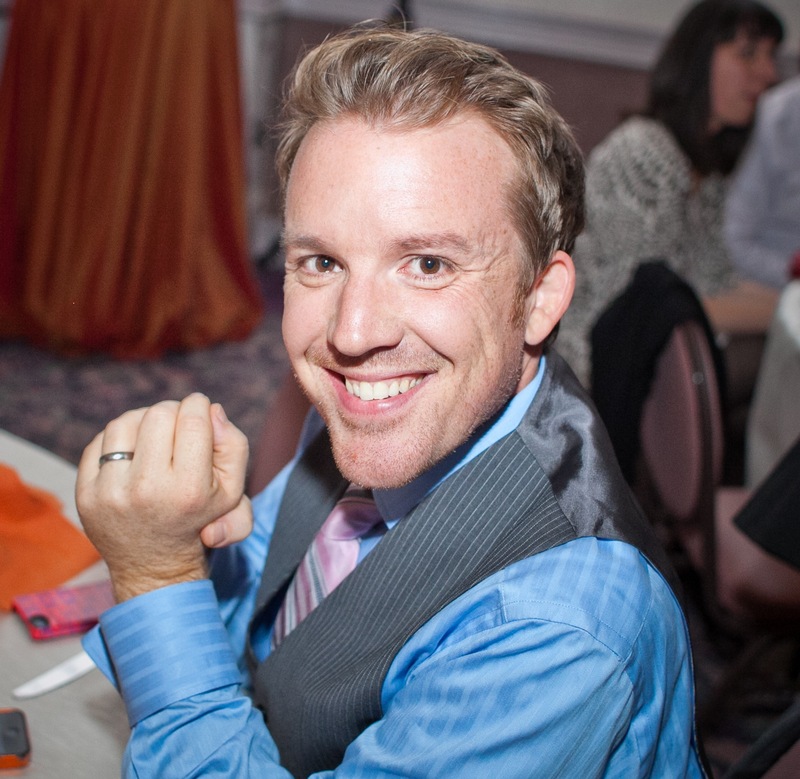 Stephen is a DC-based playwright whose work has been produced by Washington Rogues, Capital Fringe Festival, Active Cultures Theatre, Imagination Stage and Bright Alchemy Theatre. A staged reading of DOUBLEWIDE will be performed on Saturday September 6, 2014 at 8:00pm. We know they’re not real–the characters on the stage. Yet time and again we allow ourselves to be convinced, to be swayed, to be seduced. We kindle that willing suspension of disbelief that lets us get caught up in the lives of these paper-thin creations that linger a few hours on stage and then are gone. It is really one of the best magic tricks live theatre accomplishes. And everyone in the room is complicit in it—audience and artist alike. The audience’s job is to come in willing to believe, the artist’s job is to do our best to convince them. When it comes to creating characters for the stage, there’s a tightrope that has to be walked. Too little detail and the audience will see right through them. Too much detail and the actor will have no freedom to add their own art to the mix. If I do my job right, I create just enough so the actor can step comfortably into the role but still have plenty of room to stretch. The workshop process allows me to work hands-on with actors to figure out what parts of that framework are extraneous and just get in the way and what parts might still be missing. With DOUBLEWIDE, the pressure to get it right is especially high. One of the inspirations for writing this play was the realization that I rarely see the people I grew up with on stage. The bus I took to school travelled out of Maryland farm country and through the trailer park. I’d begin and end my day with the kids that lived there. It never occurred to me to question whether a doublewide trailer was a real house or not. I just knew a lot of my friends called it home. So I know the people in this play. I spent the first half of my life with them. But so frequently when they appear on stage, they do so as comic relief, or as paper-thin plot devices. Most of my work while I’m at Gulfshore has involved following each character’s journey closely, seeing where it twists and turns and rises and falls, and seeing where it falls short. I feel a responsibility to do them justice. And I have a collection of incredibly talented artists to help me do it. I know these characters aren’t real. I’m just hoping for a couple hours to convince you otherwise. Can’t wait til Saturday, Stephen!